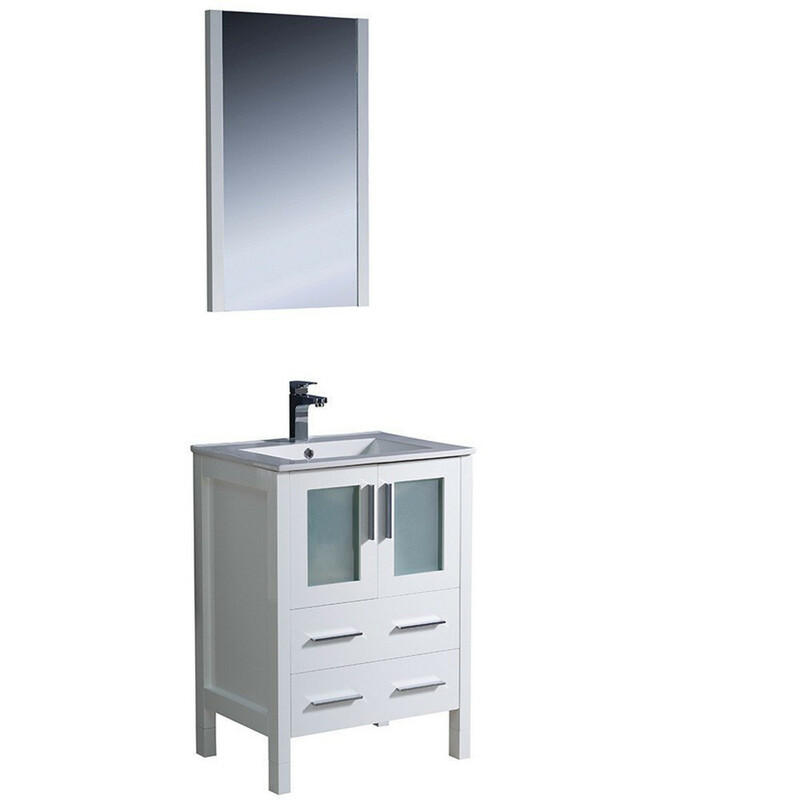 The Fresca Torino Collection is Fresca's latest in contemporary bathroom vanity sets. Fresca is pleased to usher in a new age of customization with the introduction of its Torino line. All sets are modular and customizable with multiple opportunities to make it your own. These vanity sets are sure to bring great "wow" factor to your bathroom. The frosted glass panels of the doors balance out the sleek and modern lines of Torino, making it fit perfectly in either ‘Town’ or ‘Country’ décor. fresca is known across the industry for its high quality and durable materials. They spare no effort in their cutting edge designs. Fresca is one our most popular brands. We receive consistent positive feedback from customers who purchase Fresca vanities. The cabinet material is of quality plywood, and veneer that is professionally coated to avoid moisture. The counter-top is of cultured marble material which is non-porous, making it easy to clean. Excellent durable and resistant material great for day-to-day use. Also included int he set: base cabinets, side cabinets, countertops, ceramic sinks, coice of faucets, matching mirrors, p-traps, pop-up drains and installation hardware. Additional coordinating side cabinets are available for purchase for a complete bathroom modern design. Available in the rich finishes of espresso, glossy white, grey oak and light oak, all of the vanities in the Torino line come with either a ceramic vessel bowl or the option of a sleek modern ceramic integrated sink. The Fresca Torino line is a customer favorite!